By buying this product you can collect up to 159 loyalty points. Your cart will total 159 points that can be converted into a voucher of Rs. 15.90. 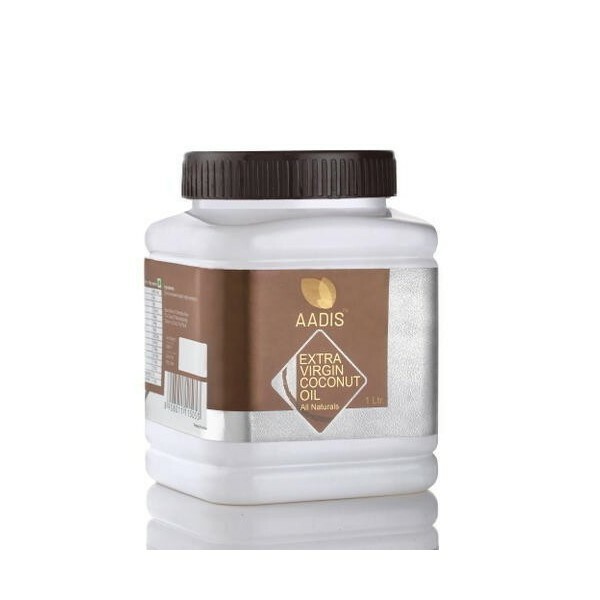 Known for it smildaromatic fragrance, smooth light weighted texture, and soothing taste, AADIS Extra Virgin Coconut Oil is extracted directly by cold compression offresh dried coconuts. 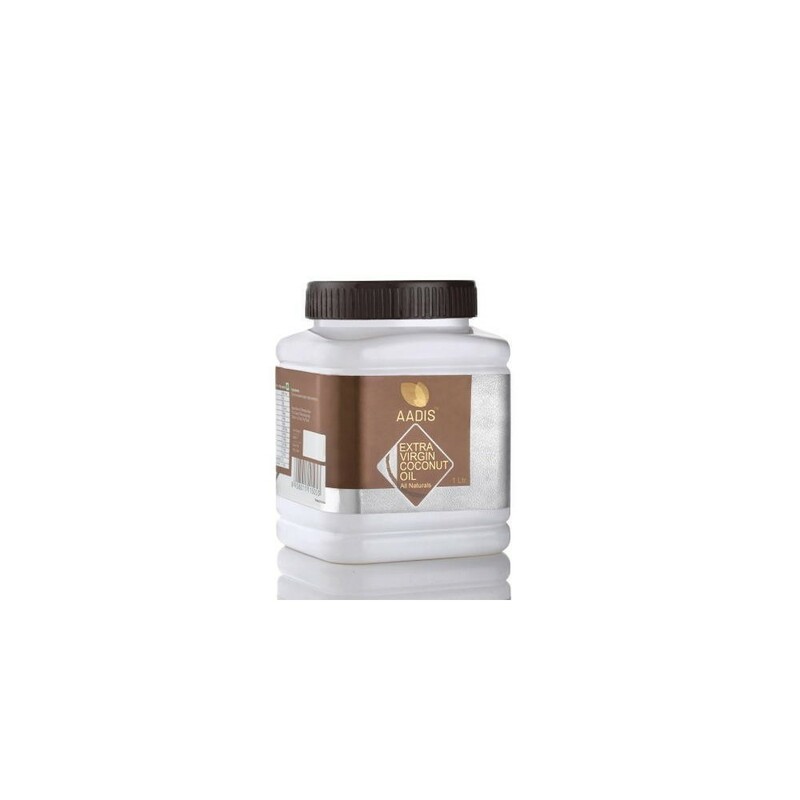 It is purest in its form and is not refined, helping to preserve all the natural goodness of AADIS oil. Rich in Vitamin E, Minerals and protein content AADIS Extra Virgin Coconut Oil is the finest moisturizing agent and comprises of antioxidant properitiesto keep you in good health. Good for Skin Care & Healthy Looks:AADIS Oil is the perfect source of daily moisturizing needs. It Smoothers skin and gives ample elasticity to skin pores to breath comfortably. Boost Immune System: Ample amount of "Lauric" acid in AADIS Oil helps in enhancing immunity. Stabilize Heart Health:Presence of "Healthy Fat" in AADIS Oil is good for you heart and coronary functioning. Instant Energy Provider:Consumption of AADIS Oil in daily diet helps in improving energy level, provides nutrition support and is instant energy provider. Beneficial of Thyroid Functioning:AADIS Oil helps in keeping a healthy balance of Thyroid Glands and Stabilizes Mood Swings. Keeps You Slim & Health:Boost metabolism. Regulate weight through promoting healthy eating habits. Augment Cell Rejuvenation: Enhanced metabolism helps in cell rejuvenation. Helping body to replace tired and dead cells with new and healthy ones. Improves Insulin Secretion :AADIS Oil improves glucose level and insulin output in body. It essentially assists you in cardiac issues and helps prevents diabetes. 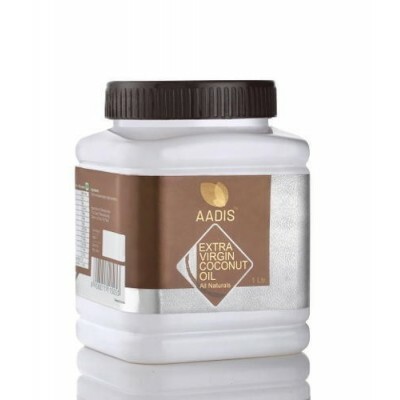 AADIS Extra Virgin Coconut Oil Apply Comprises Of Medium-chain Fatty Acids (MCFAs) Which Is Considered To Be Health Boosters. Stable To Cook and Easy To Digest, The Extra Virgin Coconut Oil Comes Very Easy On Your Body System Compared To Other Edible Oils.